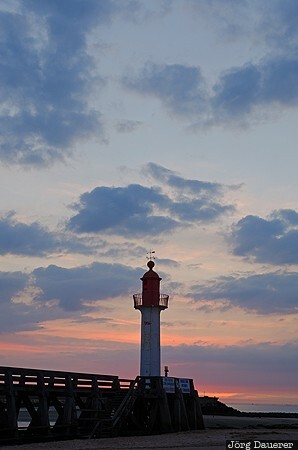 The lighthouse of Trouville-sur-Mer below a colorful sunset sky. Trouville-sur-Mer is in Basse-Normandie in northern France. This photo was taken in the evening of a cloudy day in May of 2011. This photo was taken with a digital camera.